Palouse Falls is located in the Palouse Falls State Park is a 105-acre park in the Palouse region of Eastern Washington. 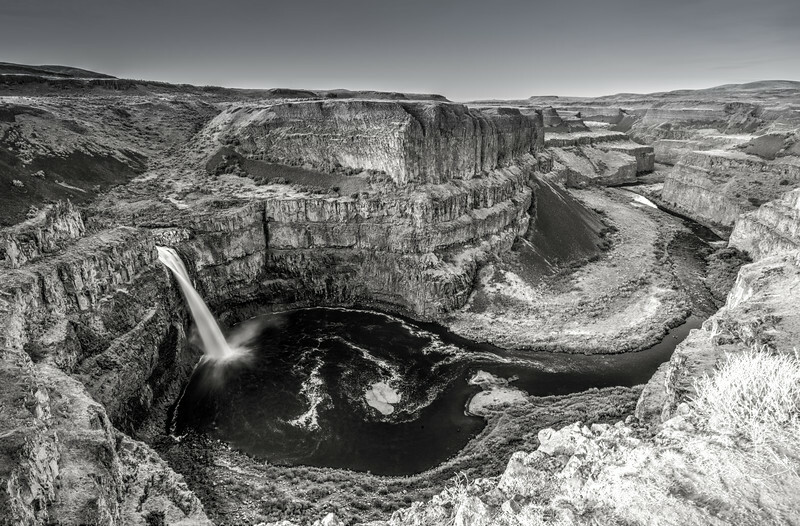 It’s named for a 198-foot Palouse Falls on the Palouse River, which are part of the park. 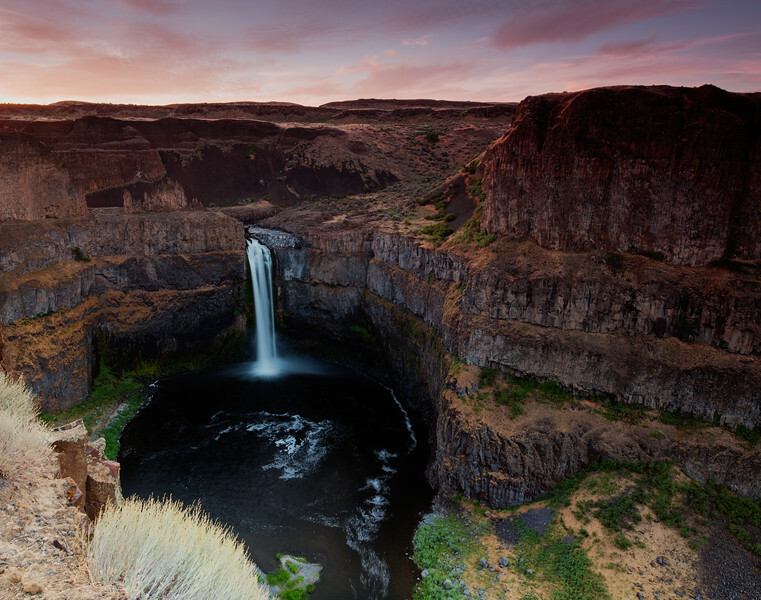 The iconic Palouse Falls that has been deemed the official waterfall of Washington State is not to be missed. 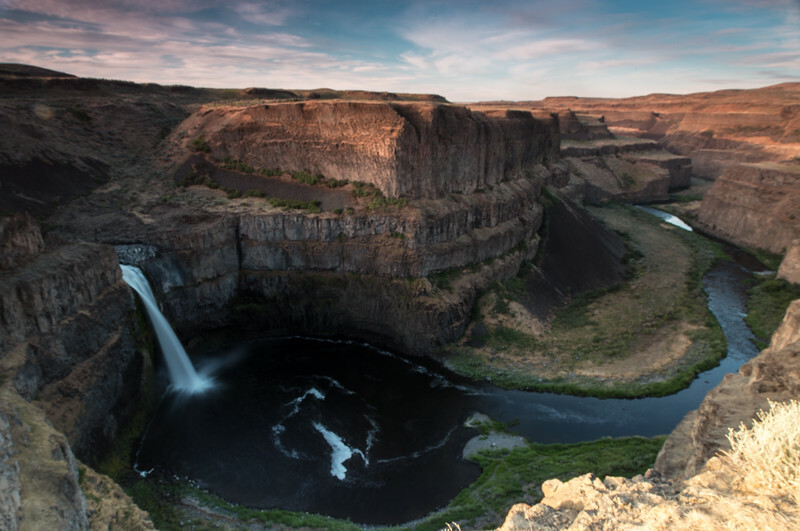 There are trails aplenty at Palouse Falls State Park with outstanding views of the waterfall. At the end of the last ice age, repeated glacial floods, known as the Missoula Floods, swept across eastern Washington carving out the unique scablands landscape we see today. Among the coulees, potholes, buttes, and plateaus, Palouse Falls remains as one of the magnificent and lasting remnants of these glacial floods. It is the only major waterfall left along this thousands of years old glacial flood path, and as of February 12, 2014, is Washington's official state waterfall. Standing at a height of 198 feet and surrounded by striking basalt cliffs, the powerful waterfall lies on the Palouse River upstream of the confluence with the Snake River. Formerly known as Aput Aput, meaning “Falling Water,” so named by the Palouse Indians. The canyon at the falls is 115 meters (377 feet) deep, exposing a large cross-section of the Columbia River Basalt Group. These falls and the canyon downstream are an important feature of the channeled scablands created by the great Missoula Floods that swept periodically across eastern Washington and across the Columbia River Plateau during the Pleistocene epoch.